Inclusion London was concerned about the government’s lack of consultation with Disabled people with the proposed changes to the Mental Capacity Act. We decided to commission our own report to seek out the views of people who may be affected by these changes in law. The Mental Capacity Act has long been criticised by Disabled people as the discriminatory law that gives too much power to professionals without real accountability or much regard to our human rights under the UN Convention on the rights of Persons with Disabilities – UNCRPD. This sentiment is shared by the UN Committee on the Rights of Persons with Disabilities which has pointed out in its ‘Concluding Observations’ report to the UK that an urgent reform of the Mental Capacity Law is needed. The government is currently pushing the Mental Capacity (Amendment) Bill through Parliament. This bill could have been a great opportunity to reform the Mental Capacity Law and promote the rights of Disabled people but the bill in its current form suggests this opportunity will be missed. We couldn’t find evidence that in developing their proposals to change the Mental Capacity Act, the government has consulted Disabled people or their organisations. We therefore think it is our duty to make those views known and so we commissioned a report: The Mental Capacity Legislation And Our Human Rights; the voice of Disabled people, their organisations and advocates. Disabled people unequivocally value the right to support to have decision-making autonomy. There is a strong emotional dimension to supported decision-making for Disabled people. Advocacy is key in supporting Disabled people to access their right to decision-making autonomy. Advocacy is about being heard, and addressing the power imbalances between people lacking mental capacity, and the institutions and services that support them. It’s paramount that Disabled people have the right to participate in court proceedings and express their views in their struggle against unsatisfactory or oppressive care when they lack mental capacity, and may be deprived of their liberty. Disabled people are extremely concerned about the protection of their right to liberty and advocate for this forcefully. If decisions are to be made regarding the deprivation of their liberty, they demand those involved are people who know them well, and who they trust. The report also demonstrates that the views of Disabled people and their organisations differ in myriad respects to both their family and friends, and service providers. This indicates the importance of consulting Disabled people and Disabled people’s organisations, in line with the principles of the UNCRPD. If you would like to read more about the Mental Capacity Amendment Bill please read our recent web post detailing the government’s proposals. There you can find our template letter to MPs which we would encourage you to use. 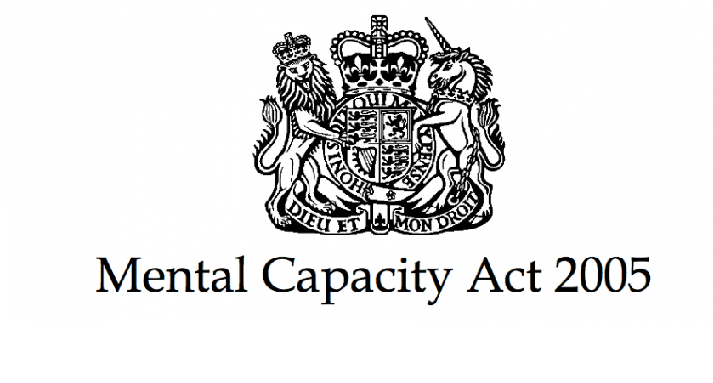 If you want to comment on this potentially dangerous bill going through Parliament, please use the #mentalcapacitybill hashtag.